Jodhpuri Suits: This suit is made from linen fabric and has a jacket at the front, neck, cuff and sleeves biceps. The base of the jacket is round. It requires only Dry clean. Linen suits: You can wear linen suits with two purposes first at your engagement and second to your office. Similarly, you can go for a seersucker suit. Mughlia Sherwani: Wearing this attire shoes the love for Indian culture of the mughal era. This sherwani was mostly worn by the mughal emperor Akbar. Today also history gets repeat with this attire. 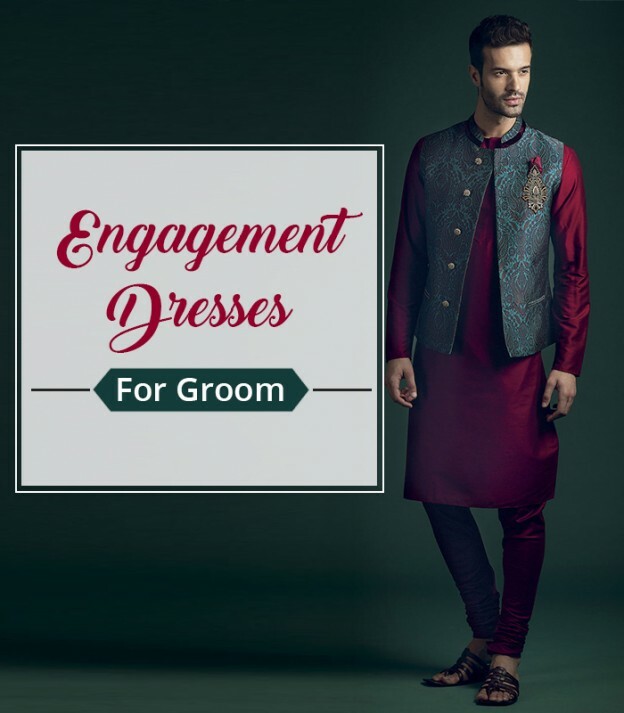 Dhoti pattern: The silk sherwani with sea green dhoti and blue romaal is perfect for the engagement. This style is basically from Punjab. Wear Punjabi jutti and dash up your Punjabi look. Pants: Another way to add spark to your outfit is adding bold color. You can go for chinos with a blazer. This is the best way to add color and moreover, it will set you apart from the crowd. Another color can be white. Casual shirts: Sometimes it's okay to wear what you personally like rather than listening to others. Men's polo short can be worn for this. Else you can also go for something in traditional or short sleeves. Lastly, button-up plaids style must be there in your closet. On That Note: It's not necessary to wear the dress which other people suggest, sometimes it's okay if you go for something you don for.